Republican Karen Handel defeated Democrat Jon Ossoff in Tuesday's special election for Georgia's 6th Congressional District seat, dashing Democrats' hopes of taking a seat Republicans have held since Newt Gingrich won it in 1978. Handel had 52.5 percent of the vote compared to Ossoff's 47.5 percent of the vote, with 81 percent of the district's 208 precincts in the Atlanta suburbs reporting. Heavy flooding in the area made getting to the polls a challenge for voters, although more than 100,000 Georgians voted early. 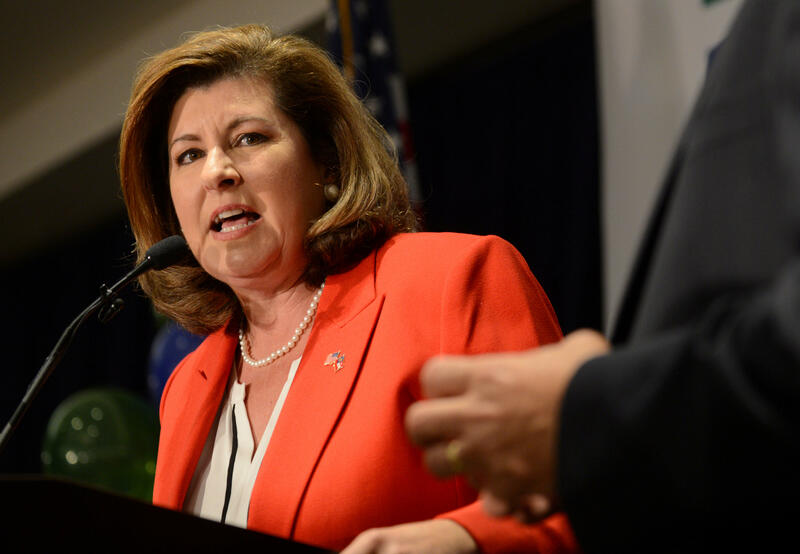 Handel will be the only woman in Georgia's congressional delegation. The race between Handel and Ossoff has been the most expensive U.S. House race in history, and is projected to cost close to $60 million. Democrats outspent Republicans, in the hope of making the race a referendum against President Trump and his agenda. The seat was left vacant by Tom Price, selected by Mr. Trump to be secretary of Health and Human Services. In her victory speech, Handel thanked House Majority Whip Steve Scalise, who texted her on a weekly basis to check in before he was shot last week at a congressional baseball practice that left him in critical condition. Handel said there is a great need to "lift up this nation so that we can find a more civil way to deal with our disagreements." At one point, chants of, "Trump, Trump, Trump, Trump" broke out as Handel spoke. Ossoff also gave a brief speech, after a disappointing result. Handel described her Democratic opponent as "gracious." "As darkness has crept across this planet, you have provided a beacon of hope," Ossoff told his supporters. Handel, 55, served as Georgia's secretary of state from 2007 to 2010. She resigned to run for governor, but lost that race in a runoff. Handel also ran for U.S. Senate in 2014, but came third in the GOP primary. In the interim, she was a vice president at the Susan G. Komen for the Cure from 2011 to 2012. Handel hasn't tied herself closely to Mr. Trump, but the president has voiced his support for her in tweets, and even tweeted about the race on Tuesday night. Mr. Trump won the district, considered solidly Republican, but by just 1.5 percent in 2016. Mitt Romney, for contrast, won the district by 23 points. The relatively wealthy district is 70 percent white, 13 percent black and 13 percent Hispanic. About $42 million was spent or reserved for TV and radio ads alone leading up to the showdown between the two candidates, according to an election-eve analysis by The Atlanta Journal-Constitution. Democratic spending has outpaced that of Republican spending on the race. Ossoff's campaign raised $23 million in 2017, and spent nearly $22 million, while Handel's campaign has raised $4.5 million and spent a little more than $3 million, according to the most recently available campaign finance data compiled by the Center for Responsive Politics. That doesn't include spending from outside groups.